We’ve recently done some work for RLI – Renaissance Language Instruction. 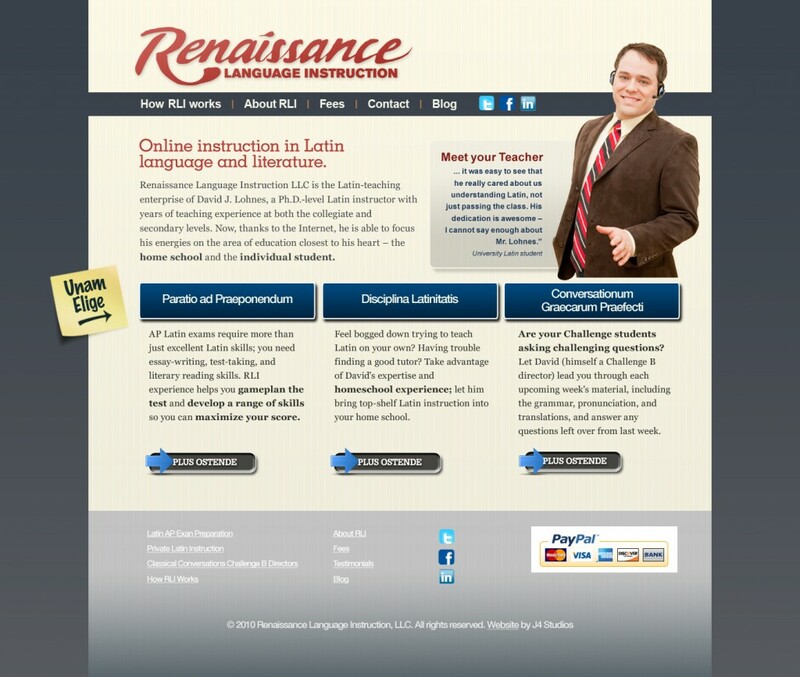 RLI is an online Latin instruction company run by David Lohnes. We’re going to be doing some basic business card/brochure work as well as revamping the site. We’re looking forward to making RLI a top choice for people looking to learn Latin online (yes, they are out there).